created more than 5 years ago..
Gregory BAMME has a passion, his job, and he puts all his energy to help his company grow like he thinks it should. This already in place growth, pushed him to move in a larger space. 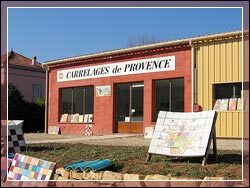 So, Carrelages de Provence moved about ½ kilometer, and the factory and the showrooms increased fourfold (500 m2). "Entreprise du Patrimoine Vivant et des métiers d'Art". the village Salernes "the tiles land" improved a quality know-how. Production of tiles and glaze. 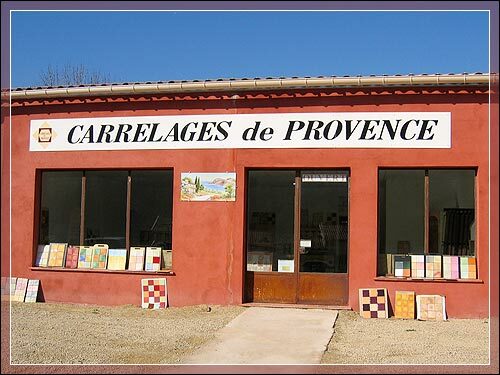 Provence, Salernes and tiles : for character products.